The Mechanical Design and Manufacturing Engineering (MDME) degree programme is a three-year honours programme jointly offered by SIT and Newcastle University (NU). 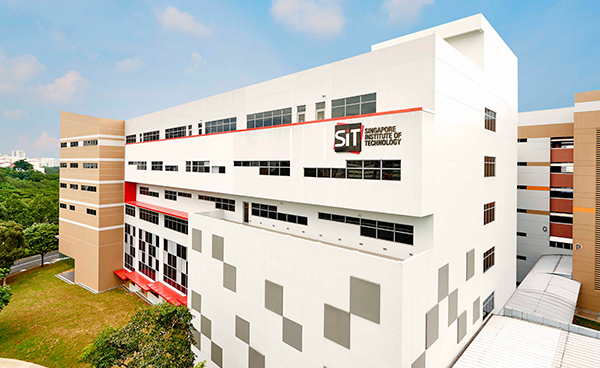 Through a unique, interdisciplinary curriculum that combines essential knowledge from mechanical design, mechatronics and manufacturing, the programme is designed to meet the manpower needs of local engineering and manufacturing industries. Students will learn about fundamental principles in mechanical engineering including statics, dynamics, materials, solid and fluid mechanics, control, thermodynamics, and heat transfer. Following these fundamentals, they will then be exposed to a curriculum that promotes process improvement and innovation in manufacturing as a specialisation including topics on manufacturing technology, industrial automation, lean manufacturing, statistical process control, factory operations and production management. Students will learn to work independently, as well as in groups to collaboratively meet and exceed engineering project objectives. Within the duration of the course, students will undertake the Integrated Work Study Programme (IWSP) at local engineering companies, to apply the knowledge gained from the course, accumulate valuable work experience, and network with industry stalwarts. As part of the IWSP curriculum, students will also work on engineering design and productivity projects which may be carried through to their studies as Capstone Projects in the penultimate year of the programme. In order to add further value and provide practical skills that are relevant to the industry, students will have the opportunity to pursue the Lean Six Sigma professional certification. MDME graduates will be practice-oriented and work-ready to develop solutions for the engineering sector and enhance processes in the manufacturing industry. Students will be taught a curriculum that synergises fundemental mechanical engineering knowledge with recent technological advancements in mechatronics and manufacturing principles. They will be equipped with the pre-requisite knowledge that encourages critical thinking and analytical skills which will prepare them for the engineering profession and also facilitate their progression to the chartered professional engineer status. Graduates are expected to meet the growing manpower demands and expertise requirements of local industries in the areas of design, industrial automation and productivity for manufacturing. Students will undertake their IWSP in engineering and manufacturing industries which provide excellent opportunities to gain product design and operations management experience. Obtained a good pass in one H1/H2 or SL/HL Mathematics and also a good pass in one H1/H2 or SL/HL Physics. Students will undergo a 26-week work attachment at a company relevant to their area of study, which provides an excellent opportunity to integrate what they have learnt in the classroom to what is practiced in the real world. The extended period of IWSP, with students performing real work, also provides an opportunity for companies to evaluate the suitability of students as potential employees. Besides producing practice-oriented graduates, IWSP will be the platform through which students are challenged during their work attachment stint to initiate innovative projects under the guidance of SIT’s IWSP and company-appointed supervisors. Students will have to undergo a three-week attachment at the home campus of Newcastle University where they get to experience life as a student in Newcastle, United Kingdom. The programme itinerary will include library and career talks, academic lectures, research and literature review workshops to prepare students for their final-year dissertation projects, as well as visits to engineering companies, and key cultural sites. This course covers foundational mathematics required in engineering. The focus of the content in this module is analytical mathematics but a brief overview of fundamentals including functions, matrix algebra, differentiation and integration shall be provided in the beginning. Subsequently, the module will move to the core content that includes system of linear equations with eigenvectors and eigenvalues, ordinary differential equations, Laplace transform and Fourier series. This course is mainly conducted through lectures and tutorials. There are two quizzes and one group assignment as part of continuous assessment. At the end of the trimester, students will need to complete a final examination. This course covers fundamental numerical approaches, probabilistic and statistical inference for engineering applications. As part of this course, students will also learn to use software to develop algorithms for numerical recipes (Matlab) and analyse data (Minitab). Basic numerical approaches is considered in this course for solving nonlinear equations and ordinary differential equations, interpolation, curve fitting, finite difference, and quadrature. Under statistics, data sampling and evaluation methods, as well as common probability models shall be covered. Topics of statistical inference include sampling distribution, confidence interval, measurement uncertainty and hypothesis testing. This course is mainly conducted through lectures and tutorials. Tutorial sessions may be conducted in a computer laboratory to facilitate numerical computations. There will be two quizzes and one group assignment as part of continuous assessment. At the end of the trimester, students will need to complete a final examination. This course aims to provide important fundamentals in engineering mechanics. The statics component in engineering mechanics focuses on finding and analysing the governing mechanical characteristics of structural elements and bodies in equilibrium. The concepts of vectors, forces, moments and state of equilibrium are first introduced to provide the understanding of using free-body diagrams and static equations for mechanical analysis. Application of these concepts in structural analysis of trusses is considered with the method of joints and the method of sections. Students will also learn about friction, centre of mass, area moment of inertia. This course will mainly be conducted through lectures and tutorials. There will be two assignments and one mid-trimester quiz as part of continuous assessment. At the end of the trimester, students will need to complete a final examination. Following studies on engineering mechanics, this course also considers the influence of materials in affecting mechanical behaviour of solids. This module will first introduce the fundamentals of mechanical properties of materials before studying the effects of loading on solid elements and structures. The basic concepts of mechanical properties of solids are introduced through stress-strain diagrams of materials together with Hooke’s Law, Poisson’s ratio and shear deformation. The next topics study materials under loading in axial, buckling, torsional and bending modes. For the bending mode, students will also learn internal forces, bending moment, bending stress and beam deflection. This will lead to understanding of stress-strain transformation with the use of Mohr’s circle. The module concludes with an overview of fracture mechanics with fatigue and creep. This course will mainly be conducted through lectures and tutorials/laboratories. There will be one design assignment, two laboratory reports and one quiz as part of continuous assessment. At the end of the trimester, students will need to complete a final examination. The aim of the module is to develop the students’ ability to consider the design process and manufacturing methods “concurrently”. The manufacturing lectures will cover: forming processes; machining methods; production planning; and costing. This portion of the module will be assessed by exam counting towards 50% of the module. The design lectures will cover: fundamental orthographic principles; engineering fits and limit dimensions; geometric dimensions and tolerances; and surface texture. Further to the lectures, the students will be introduced to solid modelling software which will not only be used to generate 3D models, but also 2D technical drawings. A timed design assessment counting towards 50% of the module will be used to assess the design portion. Atomic and molecular structures, Crystal structures including defects, Mechanical properties, Mechanical testing, Phase diagrams, Phase transformations, Materials selection using appropriate software such as CES Edupack and Green/sustainable materials. This course is mainly conducted through lectures and tutorials. In addition, laboratory experiment and a material selection assignment will enhance the understanding of the students and contribute to the final grade of the module. This module introduces computer programming using the C programming language. Topics include variable and constant declarations, arithmetic operations, selection, input/output operations, repetition, functions and recursion, arrays, pointers, and other related topics. Students will learn how to analyse programming problems such as when to choose regular loops, or when recursion will produce a better program. Students will also have hands-on exposure in designing, implementing, testing and debugging programs that use different data types, such as simple variables, arrays, and structures. Time delay, performance, area, and power consumption for simple digital circuits. This module aims to provide and equip students with basic metrology and manufacturing skills to enable them to carry out design prototyping. Lesson plan will include hands-on activities to manufacture components using both traditional and modern manufacturing methods. This course is designed to develop students’ basic understanding of the fundamentals of engineering thermodynamics and fluid mechanics, which can be used in the analysis of common engineering systems. In this module, students will be taught Kinematics – on what is meant by velocity and acceleration and on how to describe the motion of a particle and a rigid body in planar motion by its position, velocity and acceleration with respect to inertial and rotating frame. Given physical constraints and imposed motions, they will learn how to analyse and to compute the resulting position, velocity and acceleration of the particle or the point of interest on a rigid body. In Kinetics, students will be introduced to Newton’s 3 laws of motion, and for linear motion, to conceptualise physical systems as a point mass and to apply F = ma. Through discussions of linear and angular momentum, they will understand, through the use of Newton’s laws of motion, how forces and moments change the momentum and the energy of a rigid body and its motion – translation and rotation – in 2D space. For a rigid body constrained by elastic parts or springs, they will learn that the body is likely to vibrate when perturbed; and they will be taught how to determine the body position and velocity under free and forced excitation. Only one and two degrees of freedom only will be discussed. There will be emphasis on sketching Free Body Diagram (FBD) and Kinetic Diagram (KD) to represent physical systems and to derive the kinematic relations and equations of motions to determine the states – the velocity and acceleration at a single instant – of the systems (gears, wheels, linkages and vehicles) as well solving equations of motion using Matlab/Simulink. Learning will be enhanced by tutorial exercises and laboratory experiments. Selected Matlab/Simulink assignment, submitted log sheets and end of trimester examination will be assessed, and the grades count towards the final grade of the module. The module develops the Concurrent Engineering design philosophy, with an emphasis on sustainable “cradle to cradle” product development, on identifying the “customers”/stakeholders at the product specification stage and on embedding materials selection and manufacturing processes into a systematic detailed design process. The module will entirely be assessed by project work, with the deliverables being: group report (50%); individual logbook (35%); group presentation (15%). They will be required to conduct a technical audit; and will be provided with a brief to improve the design (integrating components and systems from the lecture series). This module introduces the student to materials in the context of design for manufacturing. The overall aim is to help the student achieve an understanding of engineering materials from a design perspective. Basic concepts of data acquisition systems: Analogue to Digital conversions and vice-versa, sampling theorem and aliasing, resolution and quantization errors. The module will introduce students to the analysis and design of feedback control for linear dynamic systems. Students will be required to use Laplace transforms to model and understand system dynamics through the use of transfer functions and block diagrams, and to obtain their responses. The module will assist students to develop insights into system dynamics from studying generic systems modelled as 1st order, 2nd order and approximate higher order systems and system types and their responses and behaviour from analysing system characteristics. They will appreciate the effects of system poles and zeros on stability, and transient and steady state performances and ultimately understand that their design and selection of the system properties inherently determines system poles and zeros. From the analysis of system performances against set tasks, students will learn to design appropriate performance specifications, and to design feedback system with appropriate classical controllers to improve performance that meet the required specifications. Basic analytical and design techniques like root locus and frequency response, and computer aided tools like Matlab/Simulink Control Toolbox will be introduced. The learning experience of students will be enhanced through class room discussions and work examples, tutorial exercises (requiring hand calculations & Matlab/Simulink) and laboratory experiments. A Matlab/Simulink Case study, submitted log sheets at the end of each of experiment and end of trimester examination will be assessed, and the grades count towards the final grade of the module. Real-time systems (RTS) are intended to serve real-time application process data as it comes in, typically without any buffering delays. In RTS, the correctness of the system behaviour depends not only on the logical results of the computations, but also on the physical instant at which these results are produced. Hence, a RTS OS is valued more for how quickly or how predictably it can respond than for the amount of work it can perform in a given period of time. Typical examples of real-time systems include Air Traffic Control Systems, Networked Multimedia Systems, and Command Control Systems etc. This course introduces students to energy, how it is converted to useful forms and manage it in a sustainable approach. The course aims to provide students with basic understanding of the fundamentals of thermal energy conversion using thermodynamics principles and heat transfer concepts. Students will also learn about air-conditioning systems, fluid dynamics and fluid machinery. The energy management section provides the necessary knowledge and skills to be able to apply to engineering systems. The procedures and concepts that are introduced in this course are particularly appropriate for industrial and other businesses with particular emphasis on thermal processes in real applications. The expected outcomes are not only to reduce energy costs but also to contribute to having an environmentally responsible energy use. The learning experience of students will be enhanced through class room discussions, tutorial exercises and laboratory experiments. Students will need to submit a report based on energy management assessment on a residential living space and end of trimester examination will be assessed, and the grades count towards the final grade of the module. Communication has long been taken as a core competency for undergraduate students in all major universities in the world and is a prerequisite skill almost invariably required by employers in today’s knowledge-based economy. Important communication skills for engineering undergraduates include the ability to write technical information to technical and non-technical audiences and present such information coherently and clearly in oral communication. This module aims to develop such ability of engineering undergraduates through technical report writing, and oral presentation activities. The Integrated Work Study Programme (IWSP) is a key feature of all degree programmes offered by SIT. It is a 26-week to 8-month stint that every SIT student has to participate in and be immersed in in a real-work environment. In this work situation, students are expected to integrate knowledge and practice, understand broader trends in the industry, as well as initiate and develop innovative projects with accompanying solutions. In order to prepare students to secure their first IWSP positions, this Career and Professional Development (CPD) module aims to provide students with the experience of going through the entire process of job search, from submitting their job application letter and resume to attending a mock job interview session. The knowledge and skills acquired by students through this module and the IWSP, would form a valuable source for students to draw from as they look for their first full-time job upon graduation and as they plan their career. The Career Planning & Management, and Job Search Strategies components are conducted in an e-learning format, so as to provide students with more time for self-study and reflection. Students must participate fully in all the sessions and do prior reading and preparation before coming for each class. Students are also expected to earnestly complete all the module assignments that have been created for them to enhance their job-search skills. They are encouraged to use such learned skills in applying for an IWSP position. a) Ability to integrate theory and practice, acquire specialist knowledge and develop professional skills through applied learning. b) Appreciate practical constraints within relevant industry contexts through exposure to real-world engineering scenarios to develop skills of adaptability, creativity and innovation, while adding value to the work place. c) Transit smoothly to the engineering profession based on practical work experience gained by shortening required induction period, which translates to higher productivity and lower training costs to future employers of SIT’s graduates. Relevant work hours and experience acquired may also contribute to professional accreditation/certification requirements if applicable. The IWSP is an integral part of applied learning as it provides an opportunity for students to integrate what they have learnt in the classroom to what is practiced in the real-world, and vice-versa. The extended period of IWSP with students performing real work also provides an opportunity for companies to evaluate the suitability of students as potential employees. The student will also have ample opportunities to immerse in the industry’s business and culture and decide if this is a good industry to work in. Besides producing practice-oriented graduates, IWSP will also be the platform through which students will be challenged during their work attachment stint to initiate innovative projects under the guidance of SIT’s IWSP Supervisors and Company appointed Work Supervisors. Through such projects, students will be given the opportunity to develop engineering solutions for the projects they have identified. In this way, the IWSP will be a key platform that contributes to the inculcation of the SIT-DNA in every student. This module covers the manufacturing processes of engineering materials and emerging production techniques. The overall aim is to help the student achieve an understanding of manufacturing processes of engineering materials. Topics covered include metal casting techniques, polymer processing techniques, modelling of heat transfer in metal casting and plastic injection moulding, advanced composite materials and manufacturing techniques, specialty materials (titanium and nickel-based superalloys) and rapid prototyping techniques. There will be a series of lectures and presentations with students selected to follow up on one of these (i.e. a series of case studies on topics of current interest which illustrate the selection of new materials and processes for industrial applications) by individual research. This module will introduce the fundamental concepts of lean manufacturing and six sigma. This includes continuous improvement and statistical methods for problem solving. It will cover the understanding of lean manufacturing in the area of voice of customer, waste elimination, value stream management and the methods for improving process flow. It will also introduce the six sigma DMAIC processes and how lean and six sigma are both integrated. This module introduces the students to systems modelling and engineering problem solving by modelling. The overall aim is to help the student achieve an understanding of systems modelling and how problems in engineering can be solved by modelling. Systems analysis and modelling covers Design of Experiments and optimization. The lectures will be complemented by computer classes to provide an introduction to major software packages used in the industry (such as Solidworks and ANSYS) for modelling and analysis to prepare students for future academic study and increasing reliant of industry on highly sophisticated and multi-functional software. Students are probably aware that microprocessors are found in many of today’s products and systems, which in this module, will be broadly classified as mechatronic systems. They will learn that such microprocessors are embedded and are programmed to use sensors and actuators to control the operations (mechanics in this case) of the systems for example, a mobile robot or a driverless car. It will be explained that a mechatronic system is the integration of various engineering disciplines and from another perspective, the integration of the mechanical system with sensors and actuators to the information processing and control system. Sensors and actuators are already covered in Electromechanical Systems, and mechanical components, in other modules. The design of mechatronic systems will be presented. Various design concepts and tools will be introduced, including functional diagrams. Students will apply them in case studies, and research into emerging technologies in smart product systems. They will be introduced to portable energy source and their characteristics. The basics of microprocessor architecture and operations will be taught and the key differences in their applications in embedded systems (unlike that for general computing) will be highlighted. These include pertinent programming tools and programming for real time. To realise a system, prototyping are often used. A brief mention of mechanical components prototyping e.g. 3D Printers will be given – this topic is covered in another module. System prototyping for model based design using system modelling, hardware in the loop (HIL) and software in the loop (SIL) will be introduced. An example using Matlab/Simulink for motion control system will be discussed to demonstrate system modelling, HIL and SIL concepts. Motion control system is as much a mechatronic system as well as a control algorithm in the embedded system. Their goals are the same. In this module, the various types of algorithms and implementation in the processor will be discussed. There are two main parts in this module: robot manipulators and mobile robots. In each of these modules, the concepts of kinematics, constraints, and control will be taught. In mobile robotics, students will learnt about wheels locomotion, in particular, the differential drive wheel robots similar to many commercial robotic vacuum cleaners. They will be introduced to various types of wheel geometries and the constraints they impose on a robotic body. Mathematical models will be derived, and students will learn how use the models to manipulate and control the robot in motion. In addition, students will be taught types of relevant sensors, navigation techniques, types of control architecture and robot behaviour that are found in autonomous mobile robots. In robot manipulator, students will learn how links and joints are configured for different tasks in the industry. They will be taught, in forward kinematics, how to determine the robot end effector pose (position and orientation) using Denavit-Hartenberg homogenous transformations, and in inverse kinematics, to determine the joint variables given the end effector pose. By taking the time derivative of the kinematics equations, the students will realise the Jacobian that relates joint velocities and end effector velocities, joint force/torque and end effector force/torque. They will apply what they have learnt in Dynamics to derive the Newton-Euler dynamic equations of the manipulator, and subsequently learn the Euler-Lagrange approach using work-energy principle to arrive at the same equations. In addition, students will learn about independent joint control using PID compensators, and basic concepts of multivariable control, hybrid control, impedance control and non-linear control. The current and future trend of mobile and manipulator robots in social and service robotics will be discussed. This will be done through videos and seminar discussions. Introduction to system hardware and software components of industrial automation systems, industrial applications of robotics, machine vision, programmable controllers, issues of CAD/CAM integration, and human machine interface. Basic software design techniques, including sequential logic control, ladder diagram programming, and industrial automation controllers such as PLC and Distributed Control Systems. Introduction to robotic work-cell integration, focusing on communication, safety, task planning, work-cell integration and communication, & safety issues. Introduction to commercially available offline-based robot programming softwares will also be introduced as a hands-on activity. Economic and risk assessment of implementing automation. This is a specialised module that focusses on a holistic view of the whole manufacturing ecosystem. Students will learn about management systems from the production shop floor to the enterprise level, together with engineering principles and operational tools to improve manufacturing processes. At the start of the module, students will be given an overview of different types of products and production shop floor processes including factory layout and machinery organisation before learning about mid-tier management systems, i.e. the Supervisory Control And Data Acquisition (SCADA) and Manufacturing Execution System (MES). This then leads to exposure to the top-tier corporate management system which is governed primarily by Enterprise Resource Planning (ERP). Topics on Total Quality Management (TQM), Total Preventive Maintenance (TPM), and Reliability Engineering will then be covered for effective planning and management of manufacturing systems. This course will mainly be conducted through lectures and tutorials. Students will also have the opportunity to learn first-hand the logistics and communication processes of shop floor operations with managements systems through actual production layouts set up in laboratory sessions. There will be also be two assignments as part of continuous assessment. At the end of the trimester, students will need to complete a final examination. This module is to provide students with a structured program on the methodology of carrying out a design project and to undertake and manage an industry focussed project in which they apply their knowledge of various aspects of mechanical and manufacturing engineering into a particular problem. The student is required to work on an extended piece of work on some topic set by the supervisor that can give the student scope for developing his/her capabilities as an engineer. The work will be guided by an individual academic supervisor. The student will have regular review meetings with their supervisor, presenting seminars and written reports. It is expected that satisfactory achievement of the course objectives will require at least 300 hours of concentrated student effort.